Do you need a quick hint about what to bid? Do you know what you are supposed to lead from KJ10x? Have you forgotten what a reverse is? If you answered 'yes' to any of these questions, this is the book that you need! Ray Lee (Toronto, Canada) has been playing and writing about bridge for more than 40 years. 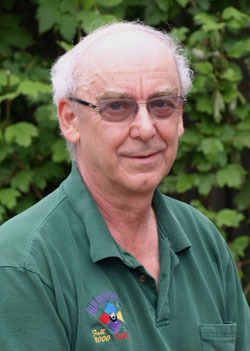 A former bridge columnist for the 'Toronto Star', he has also been editor of various bridge magazines, and has written for such varied periodicals as the ACBL Bulletin, BRIDGE magazine, Bridge Plus, Australian Bridge, and world championship Daily Bulletins. He is a former president of the Canadian Bridge Federation. "Reading the book, you can see why many people hold Barbara Seagram in high regard as a teacher. The authors succeed in making points clear without becoming dogmatic - a difficult balance to achieve." "A wonderful little book - Seagram has another hit on her hands."